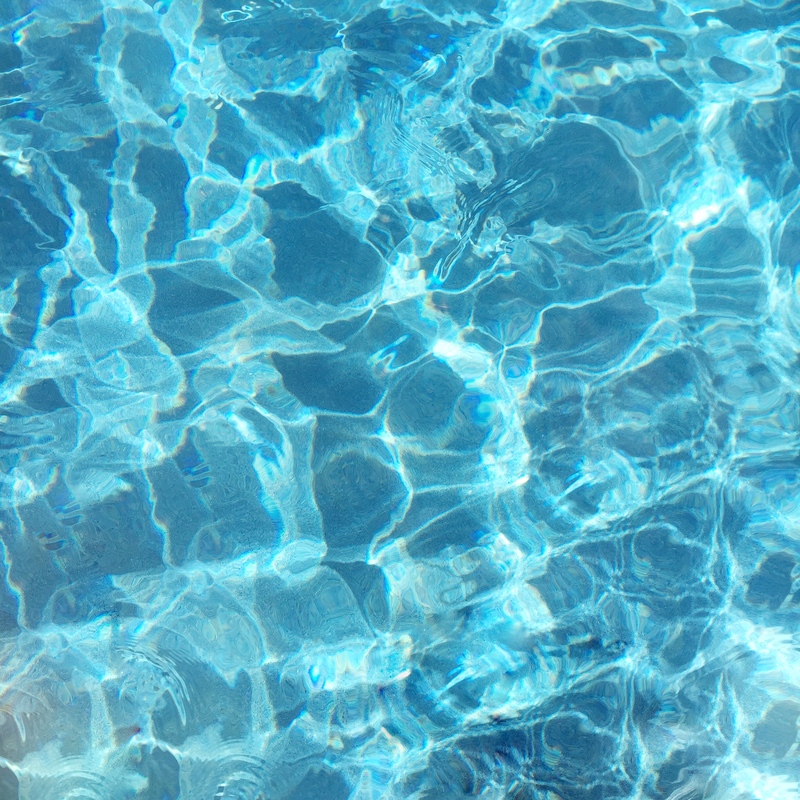 Happy Labor Day everyone, what are you doing for this long weekend? 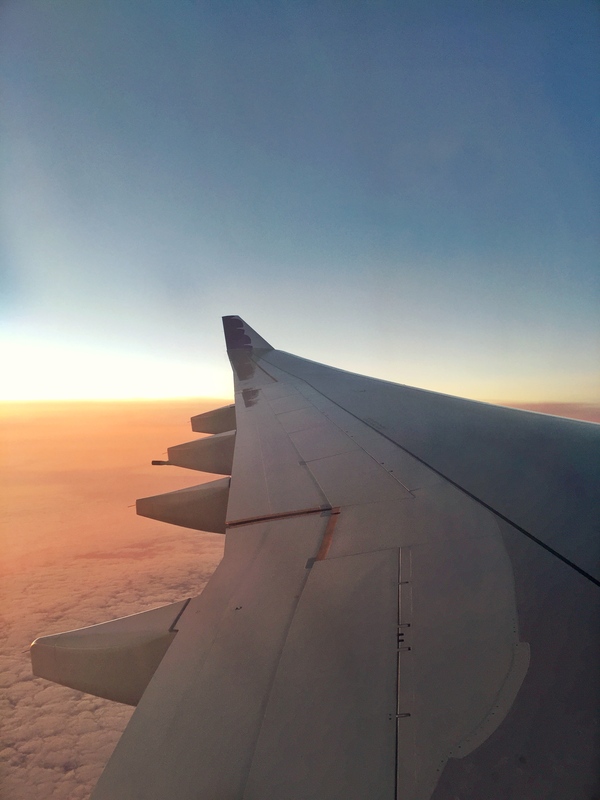 I’m missing being on vacation mode, but hopefully you can travel with me through these next batch of photos from our recent trip. 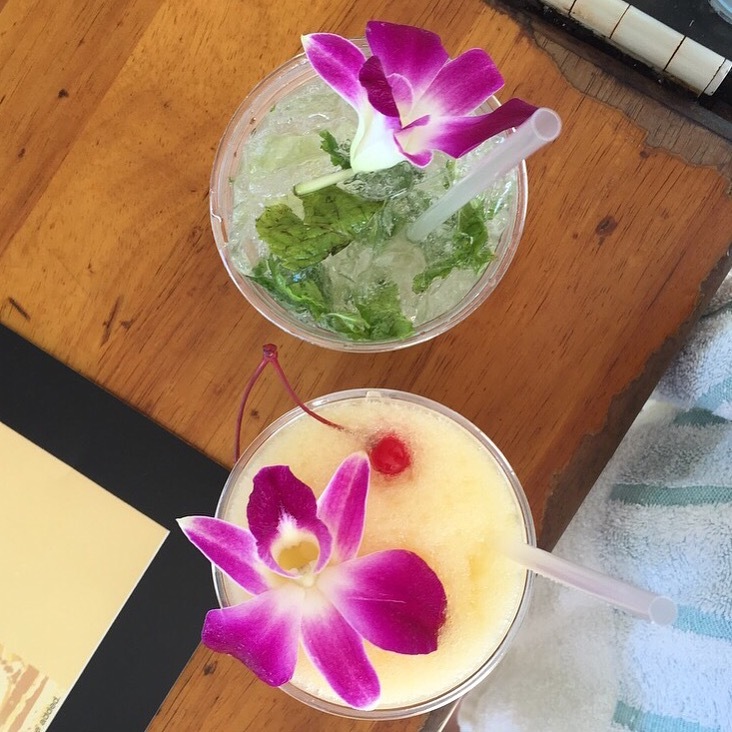 Between the waterfall hike to sipping drinks on the beach, splashing through the breathtaking views, and eating our fair share of musubi and shaved ice, I think it’s safe to say that we milked our short stay on the island to it’s max relaxing capacity. 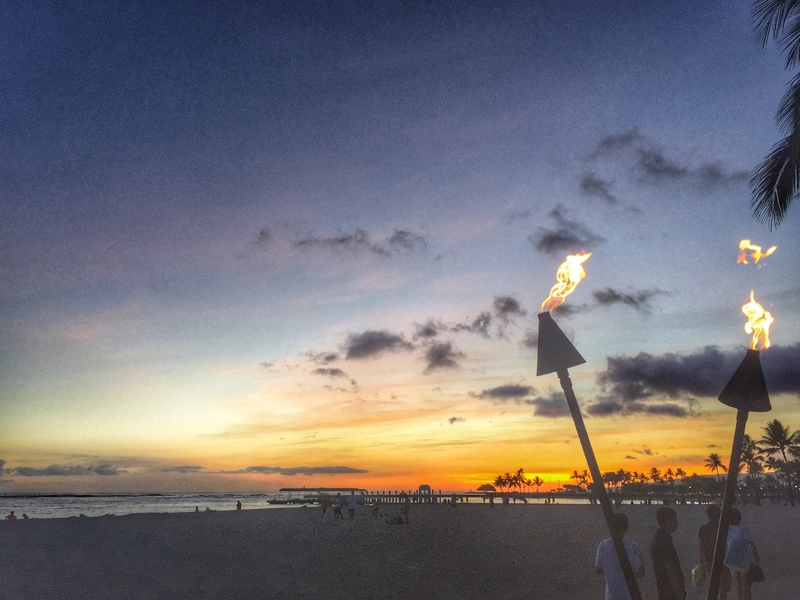 We hope to explore elsewhere too in the near future, so for those of you who have been to the other Hawaiian islands, what are your favorite places to eat, see, and stay? As always, thanks for reading and enjoy your 3 day weekend! 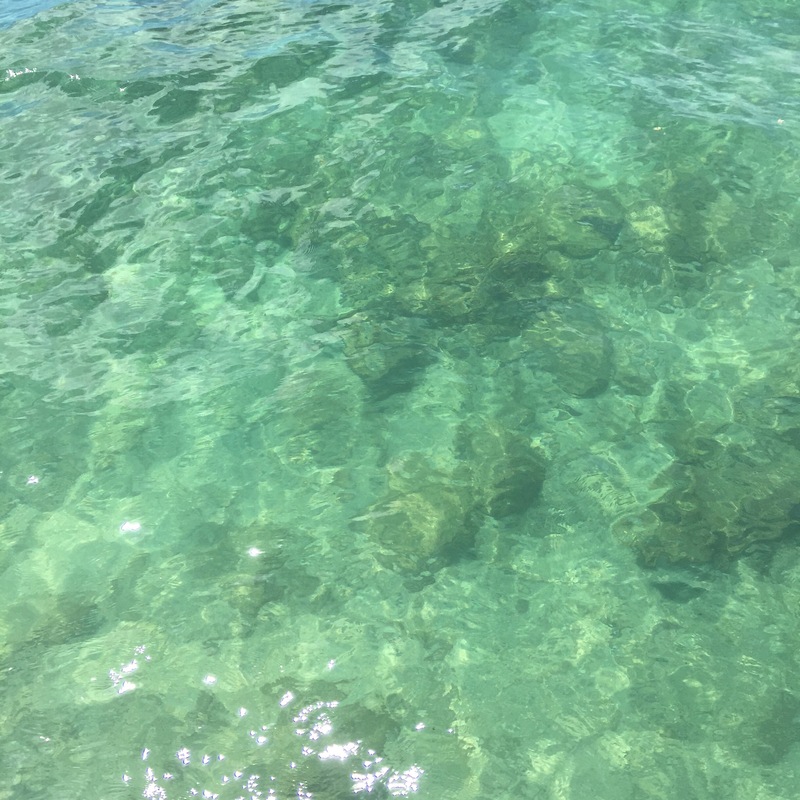 No filter, the ocean is this pretty. 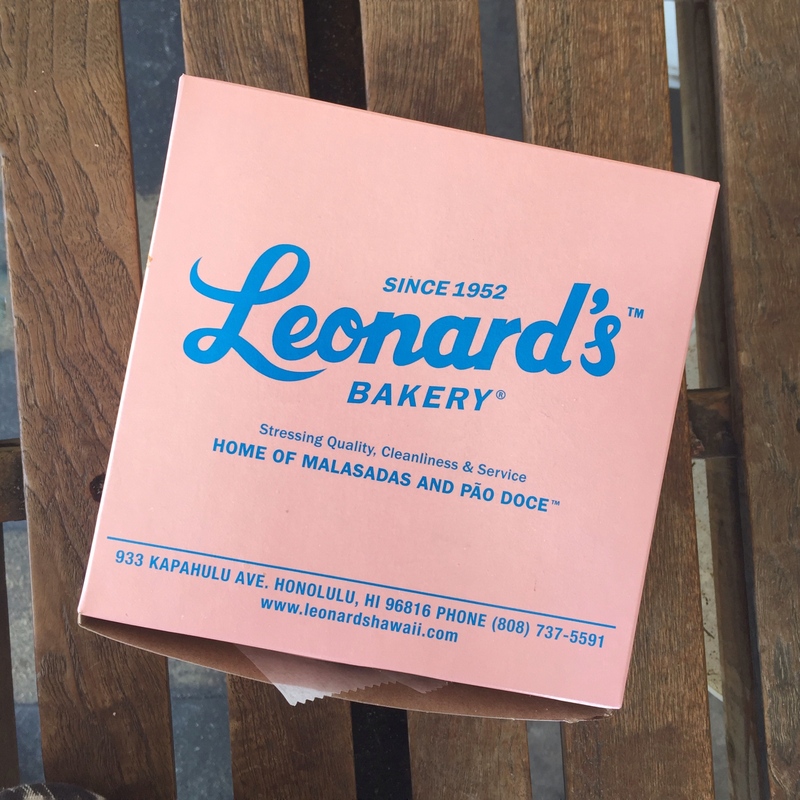 Leonards, known for their famous malasadas and pao doce. 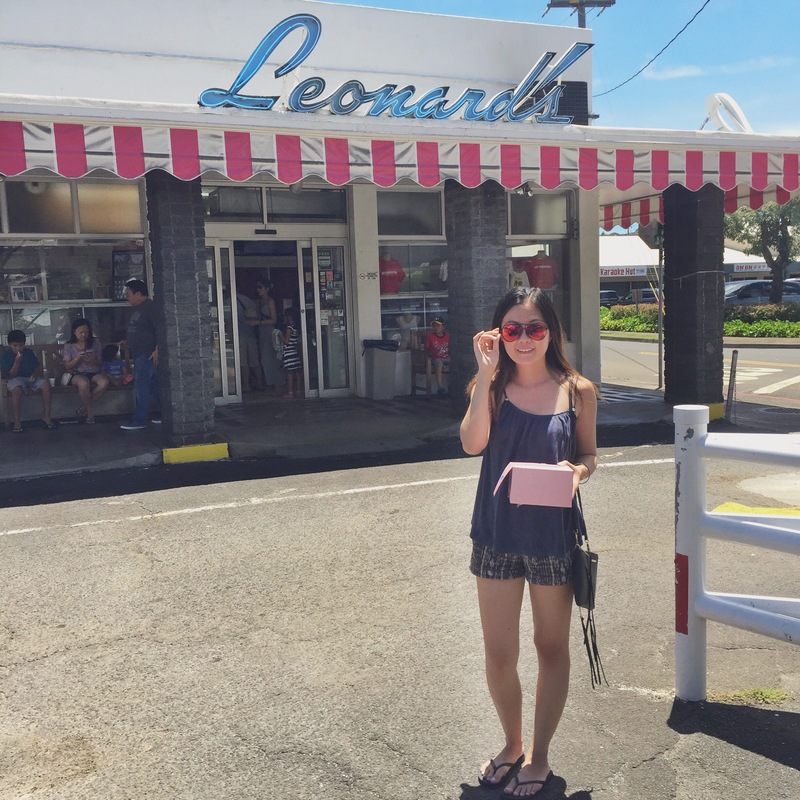 What’s a malasada? 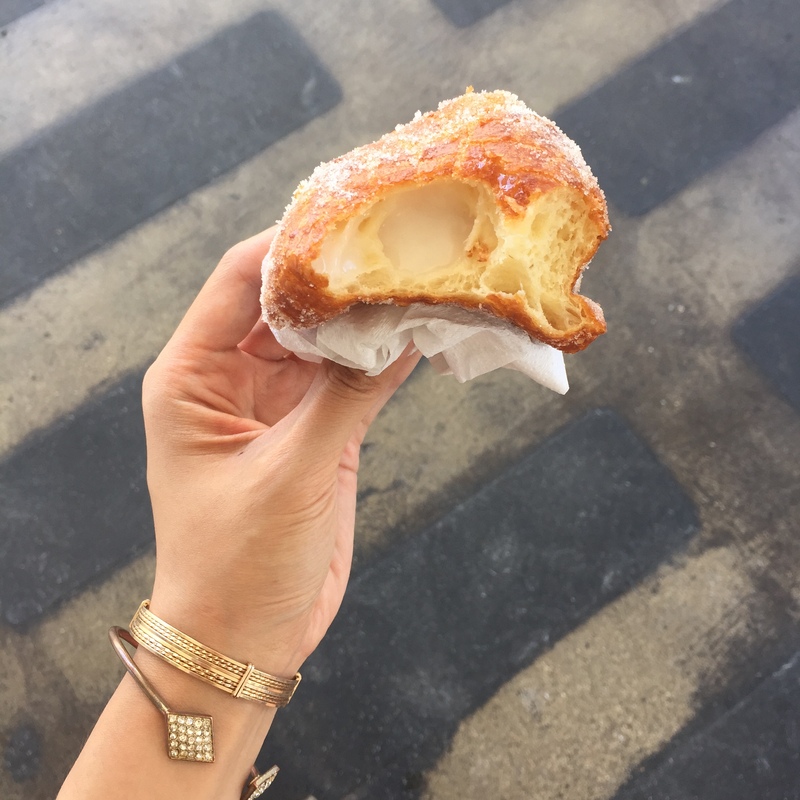 It’s basically a Portuguese custard filled donut. 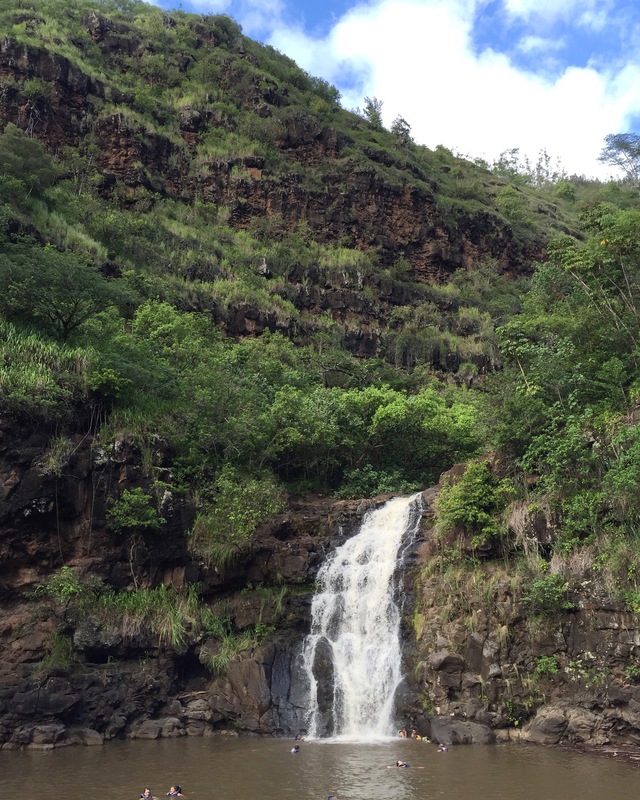 Waimea Falls, it’s a nice 1 mile stroll through the botanical gardens to the waterfall. And when you reach the waterfall you get to jump in and swim. It was so humid…Luckily this Tiare Hawaii dress kept me comfy. 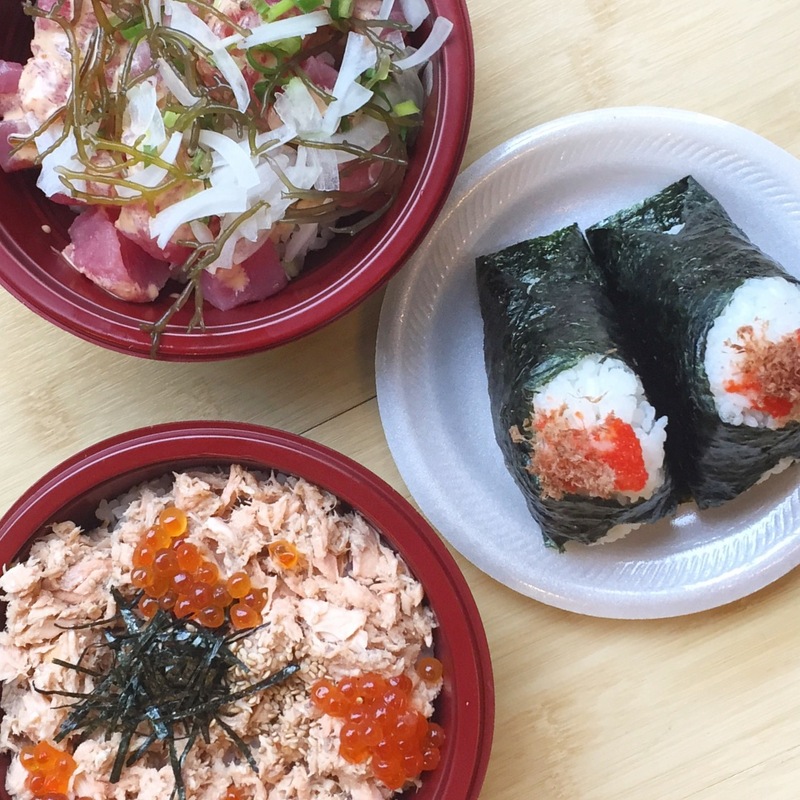 Poke bowls and musubi from Musubi Cafe. I think we went there 3 times…I could eat there every day. Last sunset of the trip. Hope your Labor Day weekend has been going great! Thank you Elizabeth! I’m missing being on vacation mode right now, haha. Your photos are so beautiful! Lovely scenery, and the food looks delicious! Pretty! Well done as far as journal writing too. Joan enjoyed reading Part 1. I told her about more on the way. Hawaii, Honolulu in particular is one of my favorite places to visit! Loved reminiscing while looking through your photos… LEAONARDS!! I actually crave them on the regular, sooo friggin good! Great shots! Looks like you had a blast! Wish I was in Hawaii, your pics are gorge! Awwww I wanna go to Hawaii,thanx for sharing your experience,lovely photos and you.